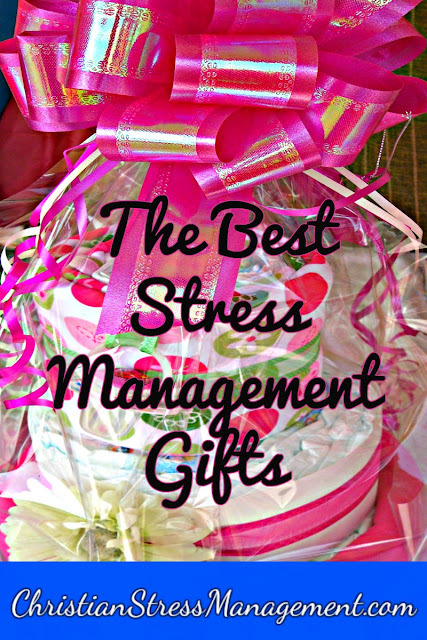 This is a compilation of some of the best stress management gifts that you can give to a stressed friend or give to yourself as a self-care gift. Aerobic exercises have been proven to be very effective relaxation techniques. These exercises also reduce the chances of a stressed person developing stress-related illnesses because they reduce the levels of stress hormones circulating in the body. 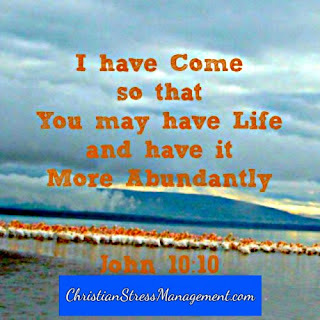 In addition, they also increase levels of the body's "feel-good" hormones known as endorphins. Engaging in aerobic exercises can thus make a stressed person look better, feel better and even have a better outlook on their situation. Therefore give a friend who is stressed the gift of aerobic exercises by offering to accompany them for a brisk walk each day. You can also volunteer to pay and join them in an aerobics class in your local gym or buy them a DVD of exercises they can do in the privacy of their home. Gift sets made up of aromatic bath salts, bath gels, body washes, body scrubs, bath oils and scented body creams are wonderful stress relieving presents especially if they are scented with soothing oils like lavender and chamomile. These relaxing effects of theirs complement those of a long, warm bath making them great for relieving tension at the end of a rough day. 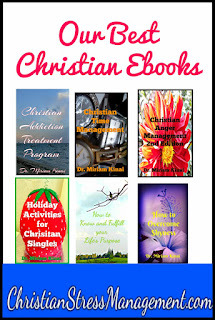 Books are great stress management presents for persons who love to read since they allow them to escape from their stresses for an hour or two. Therefore buy them a couple of best-sellers in their favorite genre. If your stressed pal does not particularly love reading, you can buy them an illustrated book that teaches them relaxation techniques so that they can better manage their stressful situation. 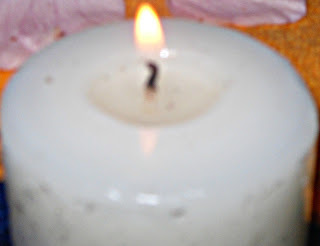 Candles are great stress relievers since their soothing glow provides the right ambiance for unwinding. Therefore buy a stressed colleague a couple of scented candles. For optimum results chose those which are scented with lavender to aid their relaxing experience. 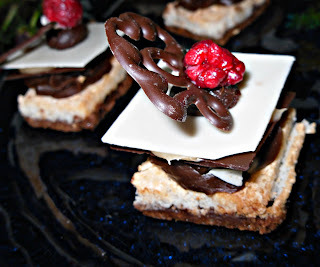 Chocolate, and especially dark chocolate, has been shown to increase levels of endorphins in the body. These endorphins are chemicals which help a person fee good. Dark chocolate also helps a stressed person feel better by raising serotonin levels which impart a feeling of emotional well-being. 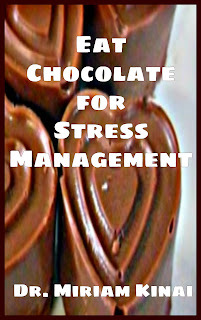 Therefore give a stressed person dark chocolate since it will make them feel better and even help their heart beat better since it has been proven to prevent heart disease. Meditation has been medically proven to be a very effective relaxation technique since it slows a rapidly beating heart and reduces tension in the muscles. Comfort a friend who is going through a stressful crisis by cooking their favorite comfort food. If you do not know what soothes their troubled souls, cook or buy comfort foods that have passed the test of time like chicken soup and mashed potatoes and top them with a chocolate desert. Miniature or table-top fountains contribute to creating a soothing ambiance in any room. Therefore buy a pal who needs to relax a small fountain for the room they usually unwind in. Hobbies are effective stress relievers since they take a person's mind away from what is stressing them. Therefore encourage your stressed pal to spend some time each week engaging in a hobby they love. If they do not have a hobby encourage them to dabble in activities like reading, gardening, and writing until they find something that they love doing. For optimum results, help find a hobby that complements their daily job. 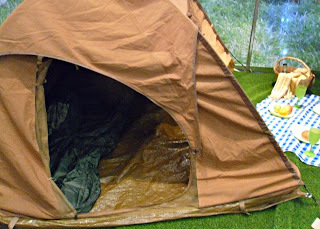 For example, if they work with computers every day, urge them to find a nature hobby like camping, trekking or gardening. Make simple bath and body products like body scrubs and massage oils and invite a stressed friend to a pampering party in your home. For example, you can mix 1/2 cup of olive oil with 1 cup of brown sugar to create a natural scrub which can be used when giving manicures and pedicures. You can also buy a large spa gift basket and spend the afternoon pampering yourselves. You can even go an extra mile and splurge by hiring a beauty therapist to come and spoil you and a friend in your own home. 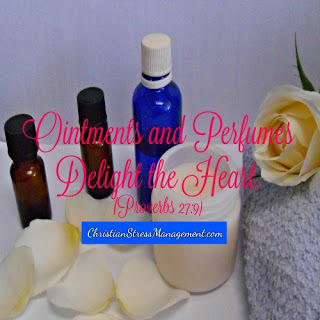 Click here to learn how to make natural body washes, body scrubs, massage oils, and solid lotions that you can use in your home spa party. 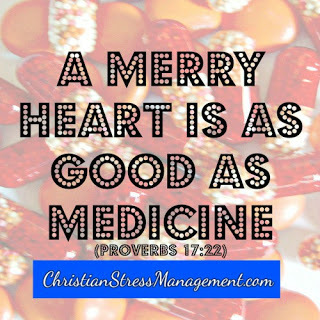 The Bible tells us that A merry heart is as good as medicine (Proverbs 17:22) and medical science collaborates by proving that it is very good medicine for stress since it has been shown to be a very effective relaxation technique. Therefore help a tense friend relax by making them laugh. You can do this by sharing jokes with them, buying them comics, giving them clean joke books or buying them DVDs of their favorite comedians. 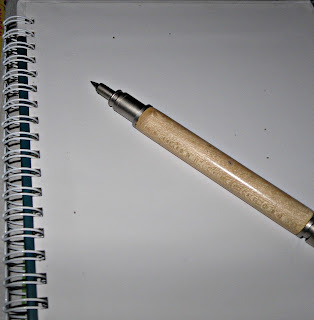 Journals are great stress relieving presents because journaling is a very effective method of carthasis or releasing repressed emotions. Therefore, buy a stressed pal a journal and a pretty pen and urge them to pour out their feelings on the paper. Tell them they can even rip the pages and burn them if they share sensitive information that they would not like another person to see. Lavender essential oil has been proven by medical studies to be effective for stress management since it helps persons who are tense feel relaxed. 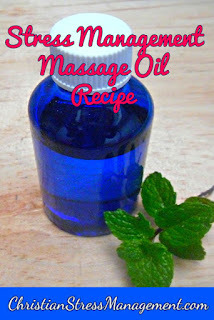 This essential oil can simply be inhaled from the bottle or mixed with vegetable oils like sweet almond oil or olive oil to a create relaxing body massage oil. 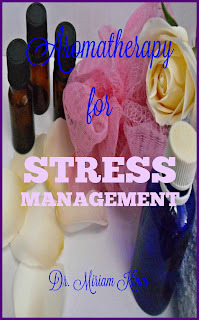 A few drops can also be added to a tub full of warm water to create a stress-relieving bath. 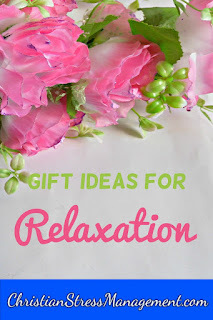 Therefore give the gift of relaxing lavender essential oil to persons who are going through a stressful period. Music is another excellent stress reducer which has passed the test of time since David used it to soothe King Saul's troubled emotions. 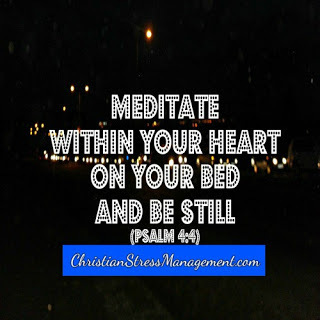 Therefore buy a stressed colleague CDs, DVDs or MP3s of Christian praise and worship music so that they can sing their way out of the stressful situation like Paul and Saul did in Acts 16. 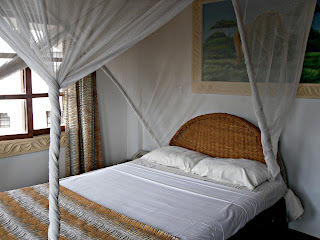 Sounds of nature are known to aid relaxation and enhance sleep. Therefore buy a stressed friend a nature sound machine with recordings of birds chirping or sea waves lapping or rain drops falling to help them relax at the end of the day and fall asleep. A few hours of sleep can help a sleep-deprived, stressed person feel much better. Therefore help a stressed pal get a few hours of sleep by buying them sleep accessories like lavender eye pillows, high thread count linen bed sheets, and relaxing linen sprays. You can also volunteer to take care of their chores for an afternoon so that they can catch up on their sleep. 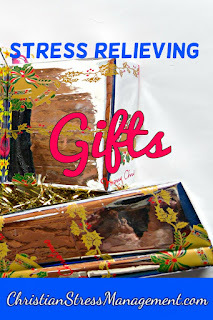 Spa gift certificates are awesome stress management presents for spa lovers. 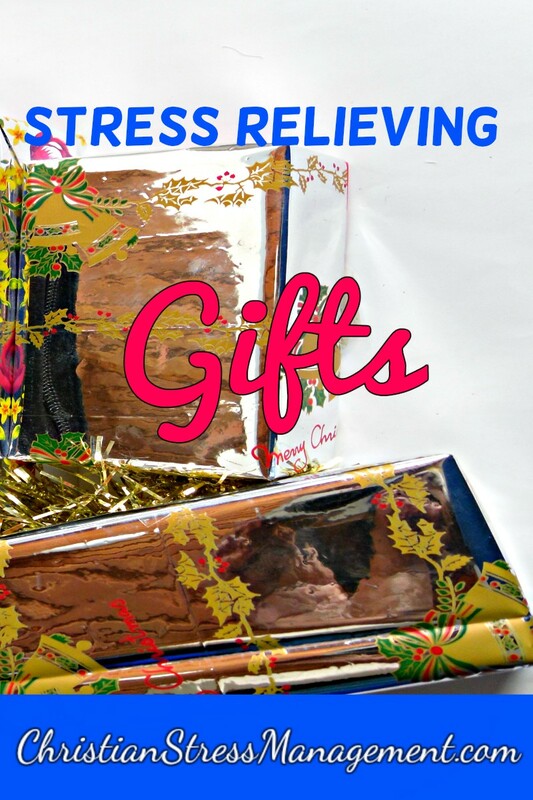 Therefore, find out if your stressed friend has a vacation on the horizon so that you can gift them a destination spa gift card. If they are tied down by work and other commitments, a day spa gift certificate will do as it will help them relax for a couple of hours as they receive pampering manicures, pedicures, and facials.